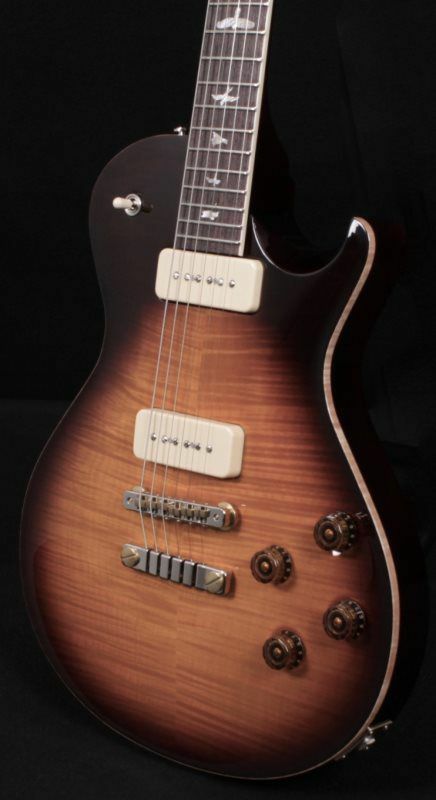 The PRS Special Semi-Hollow Limited Edition guitar offers players a versatile hum/single/hum configuration with two PRS 58/15 MT (Multi-Tap) humbuckers and a PRS Narrowfield middle pickup. The 58/15 MT’s offer all the tone of the originals while compensating for volume loss when split to single coils. The Narrowfield pickup delivers the bite of a single coil – with- out the hum but with plenty of clarity and punch. Paired with a 5-Way blade switch and two mini-toggles that tap the hum- buckers, this guitar can handle myriad sounds and styles, and the semi-hollow body with single f-hole provides a welcome airiness and depth to the guitar’s tone. The foundation of this guitar is very much like a Custom 22 – maple top, mahogany back, 22-fret 25” scale length mahogany neck, rosewood fretboard, Phase III tuners, and PRS Gen III patented tremolo – but the versatile electronics truly carry it to new sonic territory. The PRS Special Semi-Hollow makes its debut at Experience PRS 2018. There is no cap to the number of PRS Special Semi-Hollow guitars that will be made, but the order window is limited to June 8 – August 31, 2018. Weight - 6 lbs. 13 oz. Ok, this amazing guitar just arrived - the guitar is so diverse, it will be at home in jazz, r&b, rock and metal - Paul’s hollow body II design is timeless - the fit and finish is beyond reproach and the playability is unparalleled - this guitar will be treasured for generations! With brilliant acoustics and a vast array of tones, the Hollowbody II has been a constant favorite in our dynamic lineup of semi-hollow instruments. The combination of the maple top and back with mahogany sides provides tonal clarity and extraordinary resonance. The PRS/LR Baggs Piezo System comes standard, providing musicians with the versatility of wielding both acoustic and electric guitar tones in one instrument. There are two output jacks on the Hollowbody II, allowing guitarists to plug into their favorite electric guitar or acoustic guitar amp or DI into a soundboard. By utilizing the separate blend control, the tone of the Hollowbody II’s 58/15 LT pickups can also be combined with acoustic sounds through a single output. Weight - 5 lbs. 7 oz. 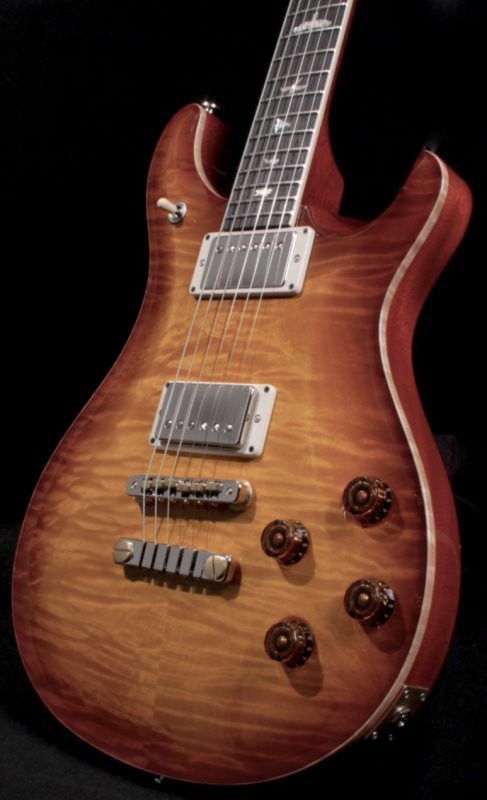 PRS knocked it out of the park with this beautiful McCarty 594 Soapbar - The 10-Top is as nice as they come and lets just say, this particular guitar plays and sounds incredible!! The neck has a nice chunky profile and its super light weight with tone for days - These are only available for a limited time - don’t wait or they will be gone!! There is no limit to the number of McCarty 594 Soapbar guitars that will be made, but the order window is open from July 11 – August 31, 2017 only. 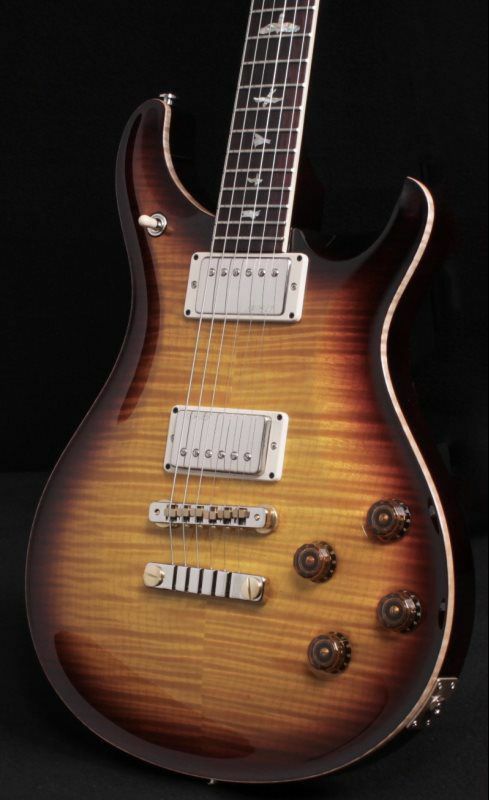 This beautiful McCarty Soapbar just arrived (1/17/18) from PRS in a spectacular McCarty Tobacco Sunburst finish. The neck fits the hand perfectly and the playability is beyond reproach. 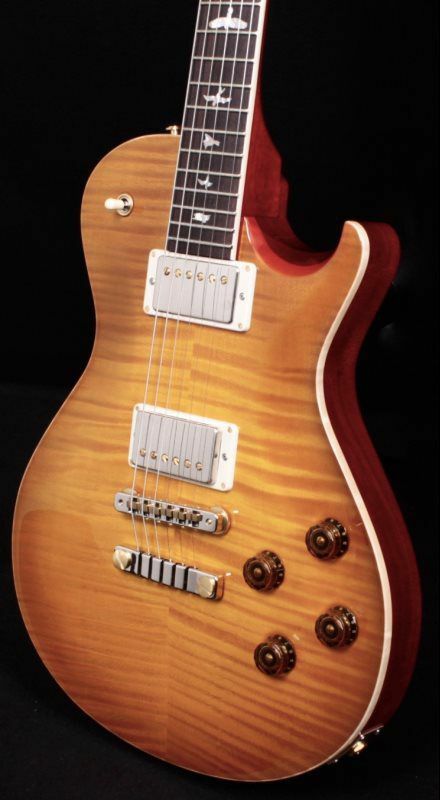 The PRS/Duncan soapbar pickups have just the right amount of chime and push your amp in the right way! 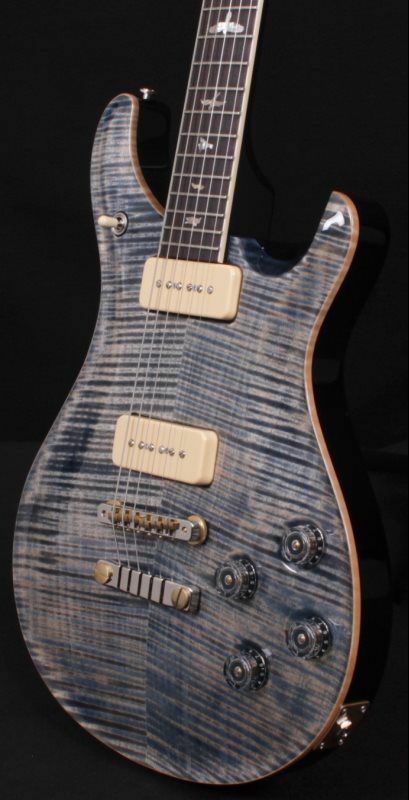 This guitar will be at home in most applications, - Paul has once again raised the bar!! Weight - 8 lbs. 11 oz. 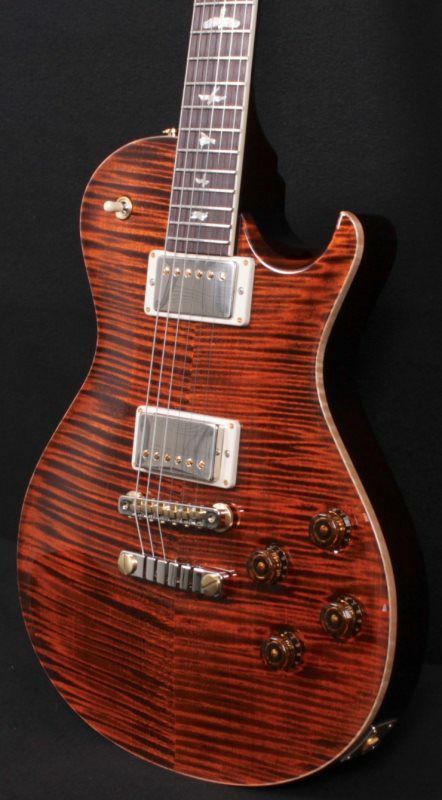 This incredible Custom 24 just arrived, this is a custom PRS Custom 24 with a Flamed Maple Neck - color matched to the top, not available for order. 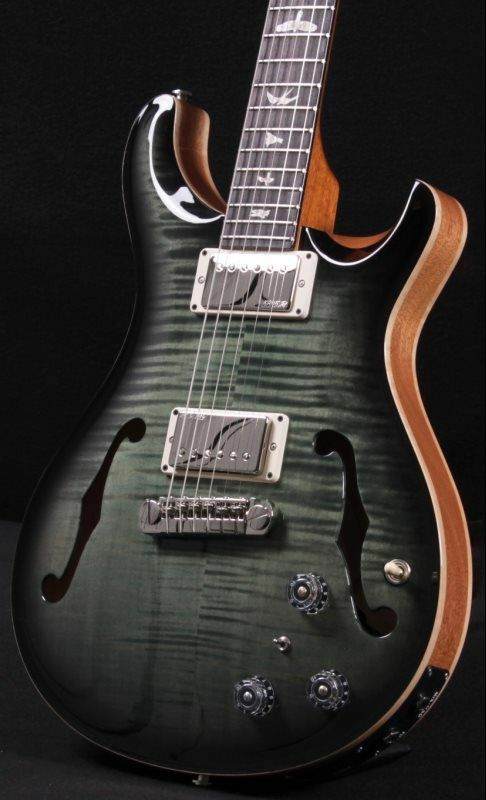 We were lucky enough to take this from a select inventory at PRS. 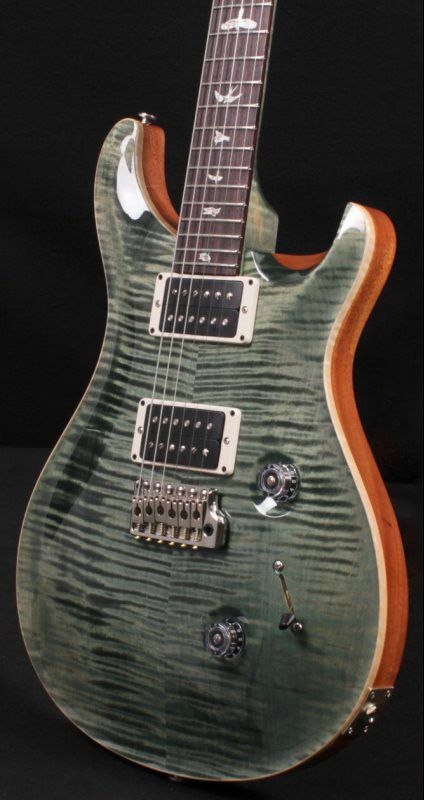 This beautiful Custom 24, is ready to be put into action - Killer Looks, Unbelievable Tone, Super Light-Weight and a flamed maple neck to make your notes a bit more articulate - If you’re in the market for the perfect guitar - here it is!! Guitarists looking for additional options, colors, and enhanced features can order a Custom 24 Artist Package. Weight - 7 lbs. 6 oz. 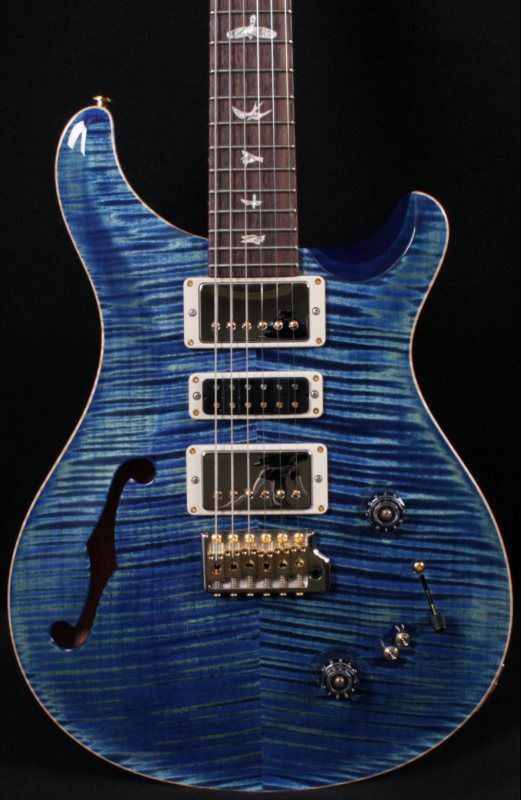 This is an amazing instrument - PRS has revamped a classic and they hit it out of the park! The neck is one of the most comfortable I have ever played and the 58/15 pickups are unbelievable - this guitar will not disappoint! Weighing in at: 7.6 LBS. Truss Rod Cover - “McCarty 594"
Weighing in at: 8.2 LBS. This beautiful SC594 just arrived, 2/1/18, we ordered this quite a few month’s back - The 10-Top is perfect, just the right amount of flame, just like some of the single-cuts from the 1950’s! The balance on this guitar is incredible and the tone is ridiculous - If your looking for a single-cut guitar, this is the one! Weight - 8 lbs. 12 oz. This beautiful SC594 just arrived, we ordered this a few month’s back - WOW, the 10-Top is truly one of the better ones I have seen! The balance on this guitar is incredible and the tone is ridiculous - If your looking for a single-cut guitar, this is the one! Weight - 8 lbs. 9 oz. Weight - 8 lbs. 9oz.